We finished up our visit to the Ohelo Gulch and contemplated our return. It was only 1 o’clock so we decided see if we could find Charles Lindbergh’s grave. I thought it would be marked but it was not. 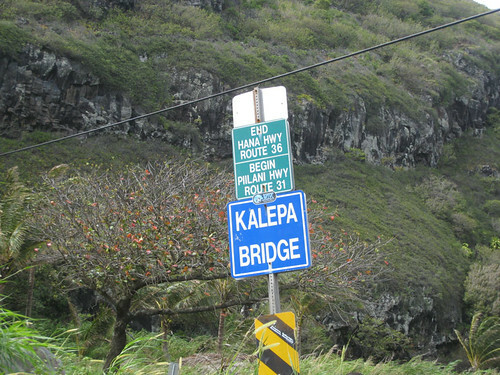 We totally spaced the directions and drove past Kipahulu. 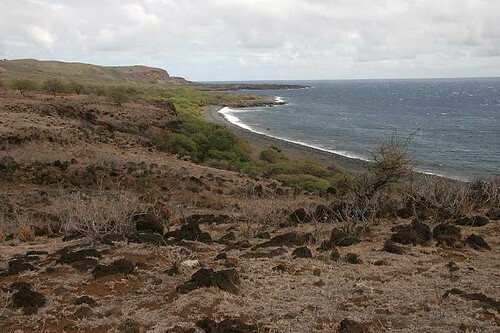 Suddenly we realized we were quite a ways past it and on the country dirt road along the bottom of East Maui! The Piilani highway that everyone warns about and the car rental companies don’t want you to drive. 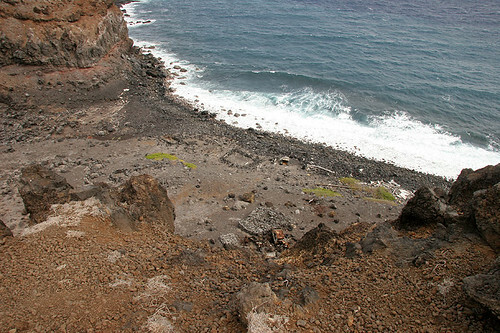 Okay… it would take a bit to go back to Hana which was about 12 miles away. I was up for a challenge – and on we went. The worst part of the road was at the beginning especially where you drove up along the initial steep cliffs. It was mostly narrow one lane. This tough section is about 20 miles long. Part – about 5-10 miles – are dirt.The dirt part is not actually too bad – it is the semi-paved portion of the road that is very very bumpy. The worst parts are at the beginning from the Hana side. 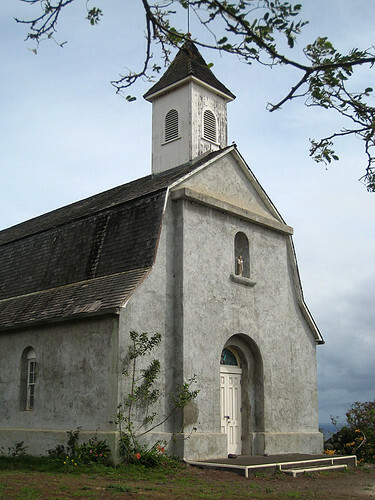 It is also a difficult after the small village of Kaupo. There are rolling hills with limited sights on each hill. You never know if you are going to crest the hill and come face to face with another car on the one lane road. What a contrast. It is very dry grass scrubland along this hot wind blown area. It looks a lot like Baja California. So different from the tropical jungle like area just 20 miles north. 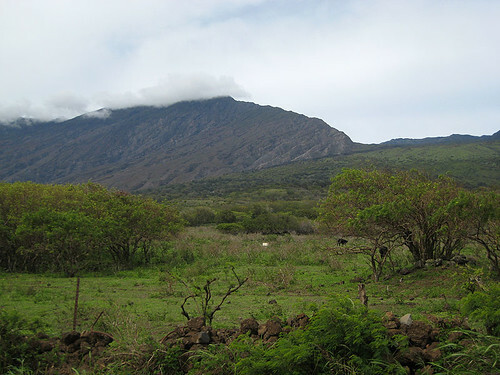 We continued along seeing few other cars and only one store – Kaupo General. Lots of cattle and goats. 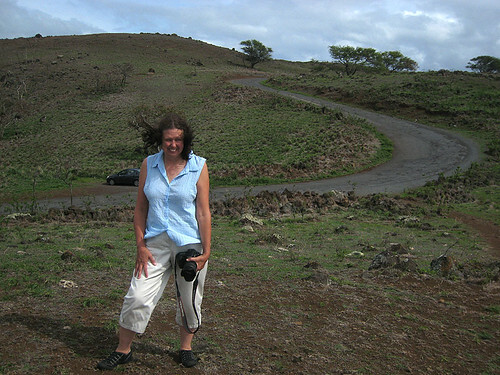 The pavement smoothed and we headed back down to civilization for some food and on back to West Maui – 12 hours later! The south road only took us about 2 hours to travel. 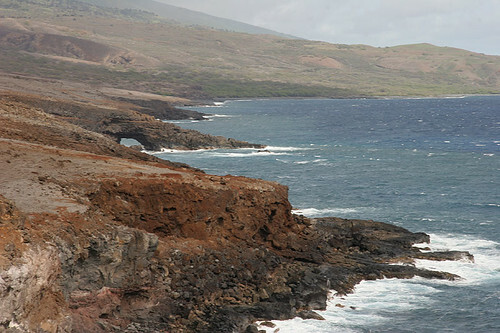 It takes us almost 1 hour to drive from Kihui in South Maui to Napili so in a way…. it was a breeze! We knew we had gone too far when we saw this sign! Fascinating! 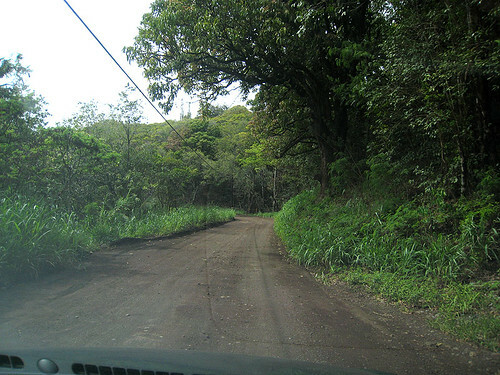 We went part way on that road going toward Hana, but chickened out and turned around. It looks like a fascinating place. Thank you for taking us on the journey. What an adventure . 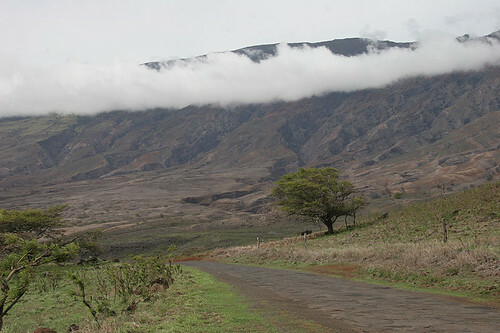 . . we’ve never been to Maui but once ended up on a similar road in CA – scary at times. Love the unexpected adventures that one has while traveling. Glad to see you were still smiling through this experience. 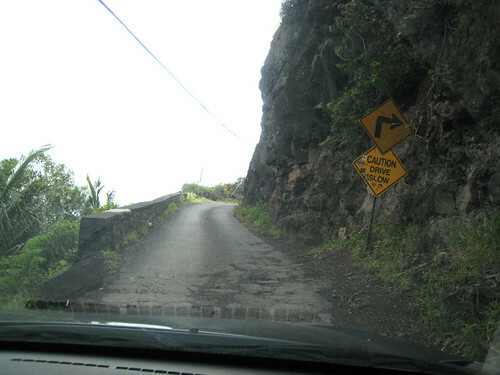 At least you saw a part of Maui most don’t venture to see. Glad you were safe. My wife and I drove the Pi’ilani Highway in late January 2014. At first I was reluctant because of all the messages on various forums warning that the road is very difficult, likely to damage cars, forbidden by rental companies, etc. 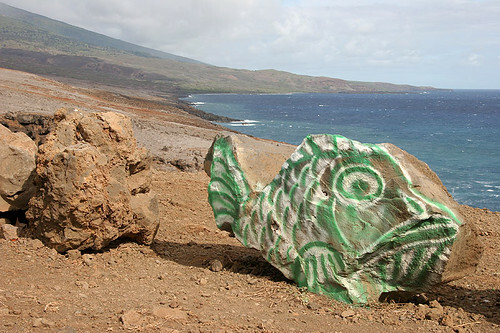 Then I saw in a guidebook, “Maui Revealed,” that all those presumed prohibitions are a myth. I looked further. Sure enough, Alamo had no restrictions about taking that road. It’s a beautiful road, generally smooth and wide enough. 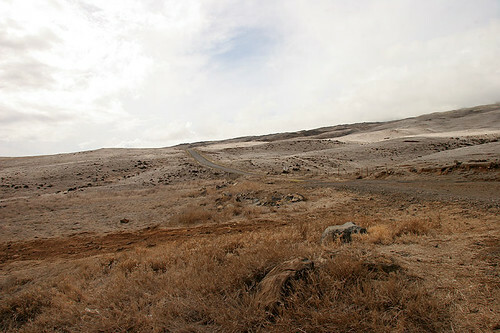 It has dazzling views of ranchland on one side and the ocean on the other. The road is lightly trafficked and largely undeveloped but hardly isolated. If we’d broken down, another car would soon have come along to take us to a phone. The only caveats are: There are a few blind curves, so honk as you approach them. There’s a stretch that’s not paved, but it’s only about 9 miles long and is well-maintained — no potholes, washboard surface, or any other impediment. 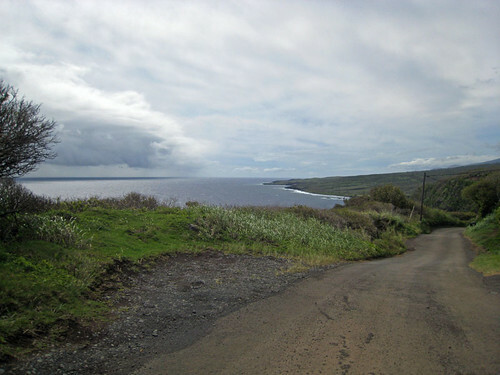 I’d suggest taking the road west from Hana, which allows you to be on the inside lane for your entire Hana excursion.